As the landscape of health care continues to evolve, health care leaders are being called upon to determine and drive the adoption of new and novel ways of providing safe, effective, patient centered-care. An increasingly complex and expanding patient population, when coupled with a nationwide lack of primary care providers, raises valid concerns about the ability of our health care system to provide for its consumers. As a result, industry leaders and innovators have been strategizing to determine how to best combat the rising concerns and create innovative solutions. One campaign that has gained momentum and nationwide awareness over the last few years is the utilization of Family Nurse Practitioners as cost effective, high quality primary care providers (PCPs). Since the Health and Medicine Division (formerly the Institute of Medicine) released its landmark report “The Future of Nursing: Leading Change, Advancing Health” in 2011, there has been a galvanized call for expanding the ability of nurses to practice to the full extent of their education and scope of practice. As a result, lawmakers, educators and health industry leaders have been removing barriers to advanced practice and designing educational models that facilitate a growth in the number of Family Nurse Practitioners in the United States. According to the National Institute for Health Care Reform, legislators have passed bills in 18 states that effectively give FNPs the ability to practice to the full extent of their scope. This means that restrictions such as physician co-sponsorship and restricted prescriptive authority are no longer impeding the way in which Family Nurse Practitioners can practice. These gains have come largely as a result of a united front of nursing professionals, nurse educators, and nurse leaders across the nation who have joined forces with others interested in making the IOM’s vision for the future of health care a reality. In addition to new legislative efforts, there is another strategic move that has resulted in boosting the role that Family Nurse Practitioners can play in the national health care environment. Many well respected schools are expanding their Nursing Departments to include Family Nurse Practitioner programs, often offering online and distance education curriculum to make the programs more accessible to nurses across the nation. The legitimacy with which this effort has moved forward can be seen in the nursing program offerings by long-standing, renowned educational institutions that have adapted their courses and schedules designed to accommodate the increasing number of nursing students, in an attempt to mitigate a lack of qualified nursing instructors. The enhancement of distance learning, according to the American Association of Colleges of Nursing is a proven strategy to boost enrollment. The transition to online nursing education has likely been a difficult sell for many in the health care industry, especially those resistant to adopt new methodologies within health education delivery. As is the case in most things, however, there are those who doubt and those who decide. In reviewing several position statements, guidelines for Commission on Collegiate Nursing Education (CCNE), accreditation, and the National Task Force Criteria for Evaluation of Nurse Practitioner Programs (NTFC) it is obvious that there is no lack of regulation, oversight, and accountability within accredited Family Nurse Practitioner programs, regardless of whether they are delivered solely on campus, or from a distance. By offering distance education programs, forward thinking institutions of higher learning, are expanding educational opportunities to many nurses who may not otherwise have access to an APRN program. Meeting the needs of those nurses who plan to enter advanced practice is essential to transforming nursing and the larger health care landscape. As we continue to develop strategies to cuts costs, improve care, expand services, and return to a patient-centered model of delivery, Nurse Practitioners, most pointedly Family NPs, represent a viable solution to many current concerns. 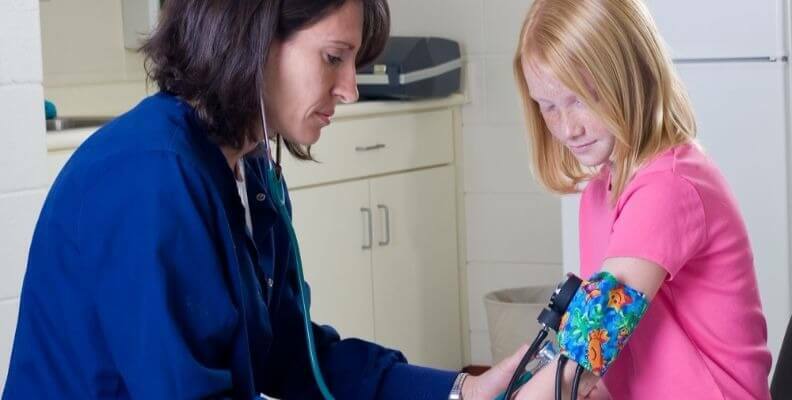 If you are interested in contributing to the healthcare industry as a Family Nurse Practitioner, contact schools to learn more about your options for study.